Taylor Williams Paperie is a custom stationery and design studio born from a love of thoughtful design, beautiful typography, textures and out of the box thinking. My mission is to give each client special attention through heartfelt design, prompt communication and a great quality product. I work closely with you to make sure your style is reflected and your ideas are brought to life. For me, it's all in the details... I firmly believe the little details is what makes an event stand out! I’ve always had a passion for design so it was an easy decision to pursue a creative career. I graduated from University of Memphis with an Interior Design degree, and the last few years, I have been designing commercial projects with a local architecture firm. It wasn't until I was planning my wedding that my true passion for stationery design surfaced. I can't tell you enough how much I enjoy creating such unique designs for clients' events no matter how big or small. I am an ambivert at heart which is just a fancy term for an "extroverted-introvert". I love going to weddings... especially when the food is delicous and the band/DJ plays my jams. I am not skilled in any form and fashion with dancing but don't mind me when I bust out my #basicwhitegirlmoves. I am always down for the next adventure. It wasn't a shock to my hubby when I told him I have planned our next vacation the week after getting back from our honeymoon in Costa Rica. Not only do I have the travel bug, but I am thrill seeker. Nothing says "Happy 1st Anniversary" quite like jumping out of a perfectly good airplane and going skydiving! You know the saying "like a fat kid loves cake" well I don't think that kid has ever had Gibson Donuts because they are the bomb! 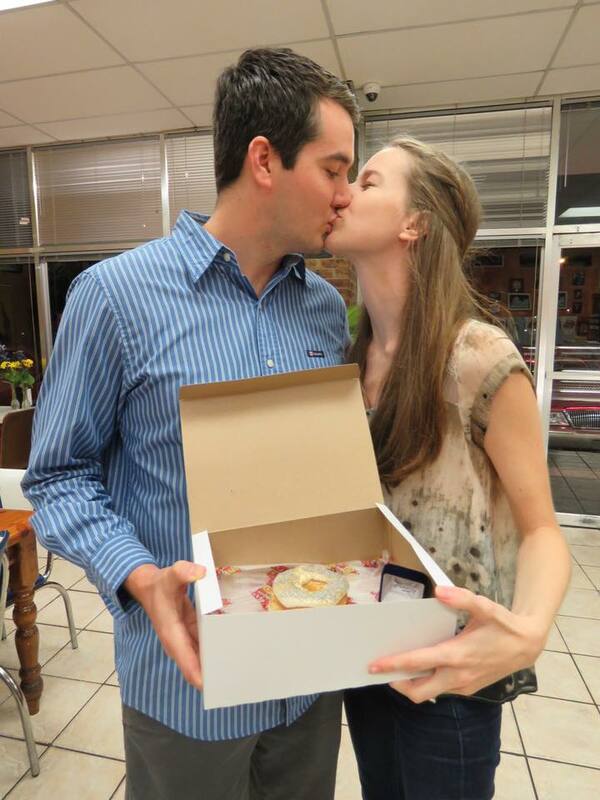 I love donuts so much (hallelujah for great metabolism) that my now husband popped the question with donuts plus I had a donut wall as my "wedding cake"! And hands down no matter what I am doing, if I see a dog (no matter what breed) I will talk to it in a really high pitched voice like all crazy dog lovers do. I love them so much, I took a picture break from my real wedding pictures to love on a stranger's bernedoodle. After many months (let’s be honest, I’ve been wanting this dog for years), I got an early Christmas present… my sweet goldendoodle, Brody! Connect with me on Instagram @taylor_williams_paperie for daily posts of works in progress, doodles, and my wanderings! about custom work and collaborations.